England's new home jersey is classic white with contrasting light blue shoulders and sleeves. 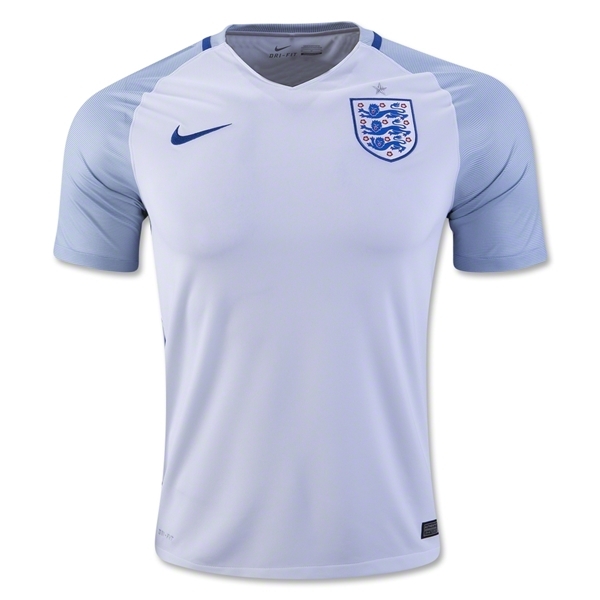 Embroidered England federation crest is on the chest, and England is knit into the back collar. The jersey has a relaxed fit and is 100% polyester.